Available now! Order by clicking the button below. A new children’s book for parents promises to be an entertaining, contemporary morality tale dealing with misogyny, racism, and bigotry in the United States. There’s a Bully in the White House depicts children fearlessly standing up to bullies, and more specifically, current American President Donald Trump, and his supporters. 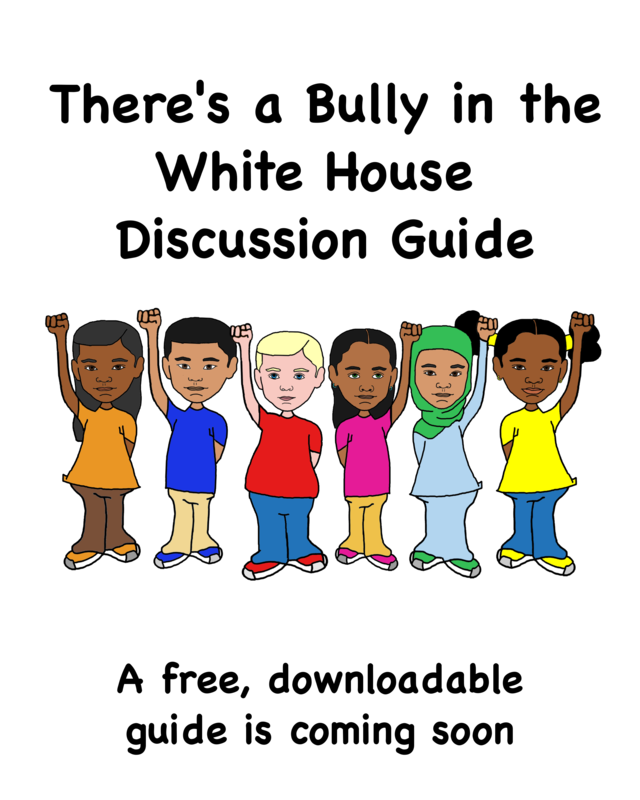 There’s a Bully in the White House seeks to give parents a tool to explain complicated concepts like social justice protests and solidarity, while teaching both parents and children how they can resist bigotry and support victims of hate. The book is a platform to instill understanding and foster discussion between parents and children through rhymes and poignant illustrations. It is meant to help teach the next generation that to achieve equality, freedom, and justice, those who oppose Trump and his beliefs must listen to and stand with those who are most impacted by bigotry. By standing together and striving to protect what is right, hatred can be overcome. It depicts a U.S. president who emboldens his supporters with hateful speech against people with different identities. Meanwhile, a group of children join the resistance against the big bully in the White House. By joining protests led by people who are targeted by Trump and other bullies, the children find a growing community that fights for equality, dignity, freedom, and justice. By resisting hate, they discover the power of standing together. Sign up here to receive updates about our work.